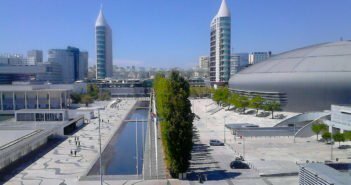 The 21st century Parque das Nações, built for the Expo98 event, represents the modern Lisbon. This is a great neighbourhood if you’re seeking quiet surroundings and outdoor activities. 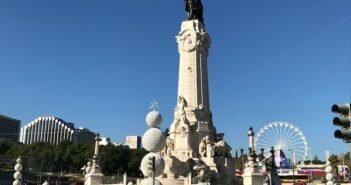 Parque das Nações is also very close to the airport, just three metro stops away, a convenient location if you’re catching an early flight. 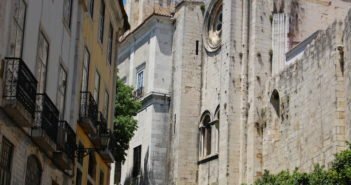 Highlights in this area include a five-kilometre long waterfront promenade, the Oceanarium, and Vasco da Gama shopping centre. 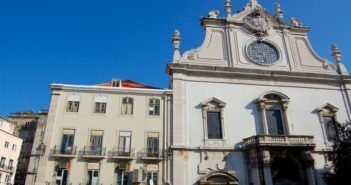 If you stay in Parque das Nações you’ll be very close to Oriente Station, Lisbon’s hub for train services, including a departure point for coach and bus companies, and a metro station. 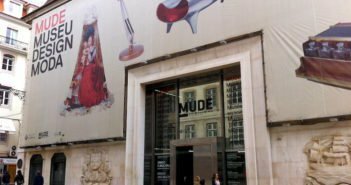 Being part of a well-known hotel chain may be an advantage – you know what to expect during your stay. So in that sense, Ibis Parque das Nações won’t be a surprise. 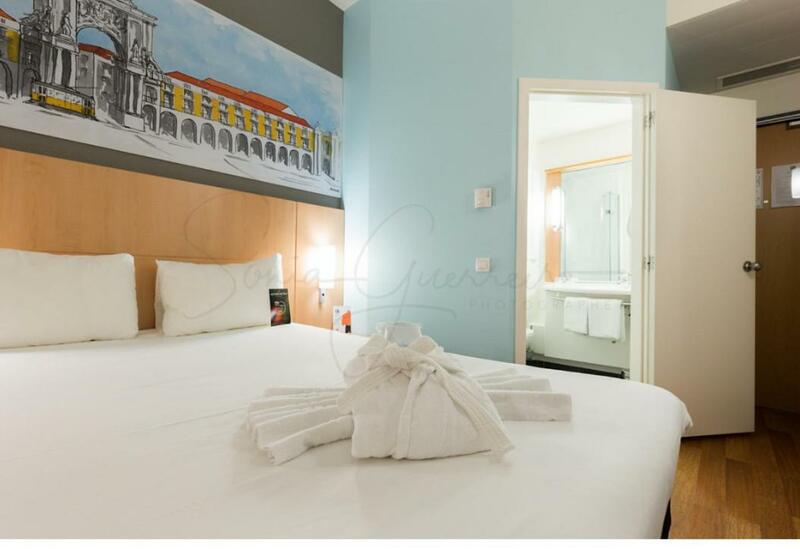 The rooms are quiet and clean in a great location in Lisbon. 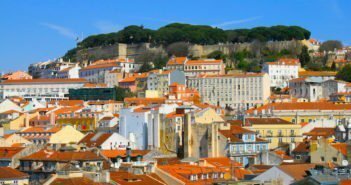 TRYP Oriente features bright rooms overlooking Parque das Nações’s futuristic buildings, and some (on the upper floors) overlooking the River Tejo. 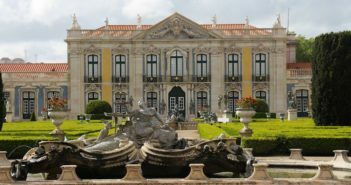 Lisbon’s Oceanarium and Casino are within walking distance. 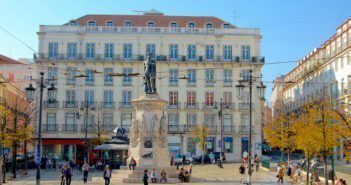 Olissippo Oriente is located in Lisbon’s new financial centre – several companies have moved to this inviting part of the city. 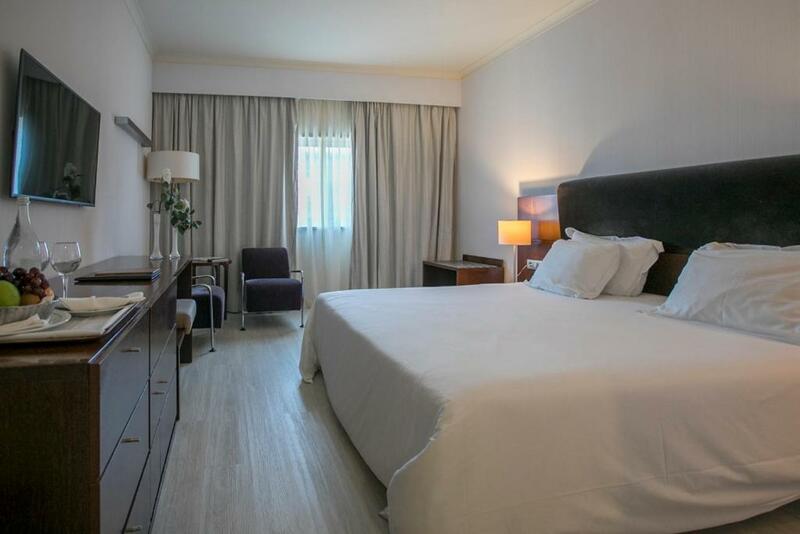 The hotel has comfortable and modern rooms for a relaxing stay. Tivoli Oriente has some rooms overlooking the river, while others offer street and city views. Avoid the rooms overlooking the railway tracks of Oriente station if total silence is something you find important. The hotel has an indoor pool with a hot tub, relaxation facilities, and a gym. 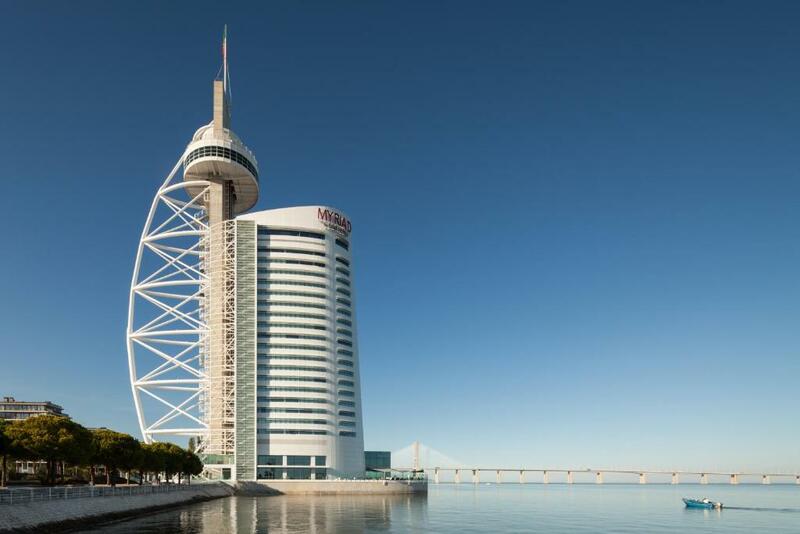 Perfectly located on the bank of River Tejo, MYRIAD is a five-star futuristic hotel. All rooms offer stunning views from one river’s end to the other. Your eyes may even be able to reach the entire Vasco da Gama Bridge’s length, Europe’s longest bridge to drive across. The hotel has a restaurant and a bar, as well as an indoor pool with spa and fitness facilities.